By utilizing a practice called Zone Heating, which is widely utilized in many other parts of the world, you can achieve these savings while keeping your family comfortably warm. The basic premise of zone heating is…turn back the thermostat of your fuel guzzling, inefficient, central heating system and use zone heating appliances to provide additional heat to the areas in your home being used most often. Reduce the temperature of the total area being heated. Provide extra heat only when an area is being occupied. Reduce the costs of inefficient central heating with more efficient zone heating products. By turning back the thermostat and only heating your chosen areas for selected portions of the day with high efficiency zone heaters, you will realize significant savings! "So how much will I save?" The exact amount depends on many variables affecting your particular circumstances. These include the efficiency of your current heating system, type of fuel used in the central heating system for your whole home, room temperature preference, size of the area being heated, insulation factors, hours spent at home, type of zone heating appliance selected, outside temperatures, and so on. As mentioned previously, the Energy Information Administration estimates that the average homeowner can save 3% for each degree the thermostat on the central heating system for your entire home is turned back. Imagine a 5°set-back; that’s 15% savings! A 10°set-back saves 30%! To get a general idea for your specific situation, try the following formula. As you can see, the higher the central heating system costs for your entire home, the greater the potential savings by practicing zone heating! The cost savings associated with turning back the thermostat to your whole home can be multiplied when this practice is supplemented with zone heaters. By using energy efficient zone heaters that operate at up to 100% efficiency to replace whole-home, central heating systems that operate as low as 60% efficiency, you can turn back the thermostat even further and still be comfortably warm in the rooms being occupied. 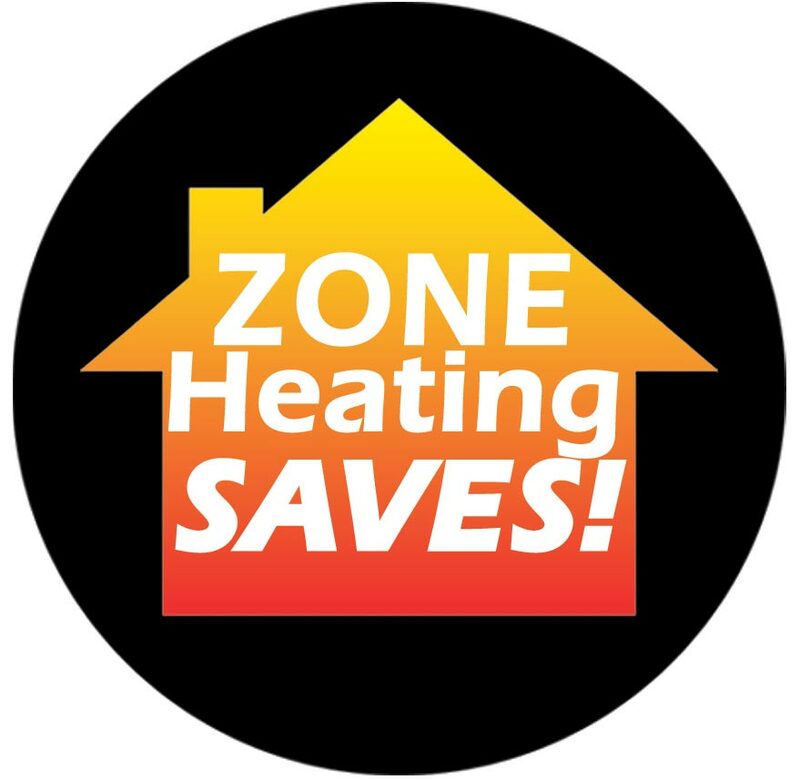 Zone heating keeps you warm while saving you money on your total home heating costs.